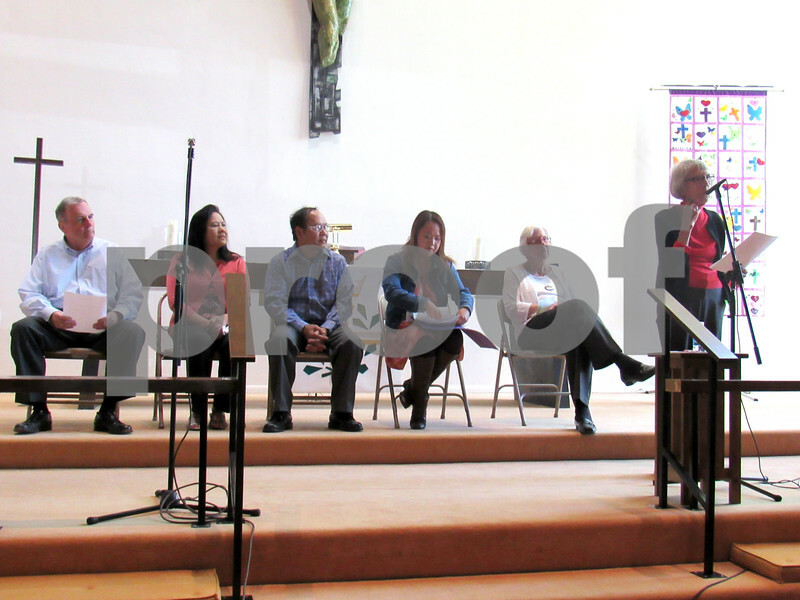 Longtime Bethlehem Lutheran Church member Anna Fischer (far right) addresses the audience Sunday afternoon at the church. Hem Lach (third from left) and his family, including his wife, Doeun (second from left), and daughter, Chandy Tracy (third from right), shared the story of how they fled Communist Cambodia in 1979. The family lived with former Bethlehem Lutheran member Dorothy Rossing (second from right) a couple of months before settling into an apartment, and Tom Imboden (far left) gave Hem his first job in American at Inboden's Meat Market.